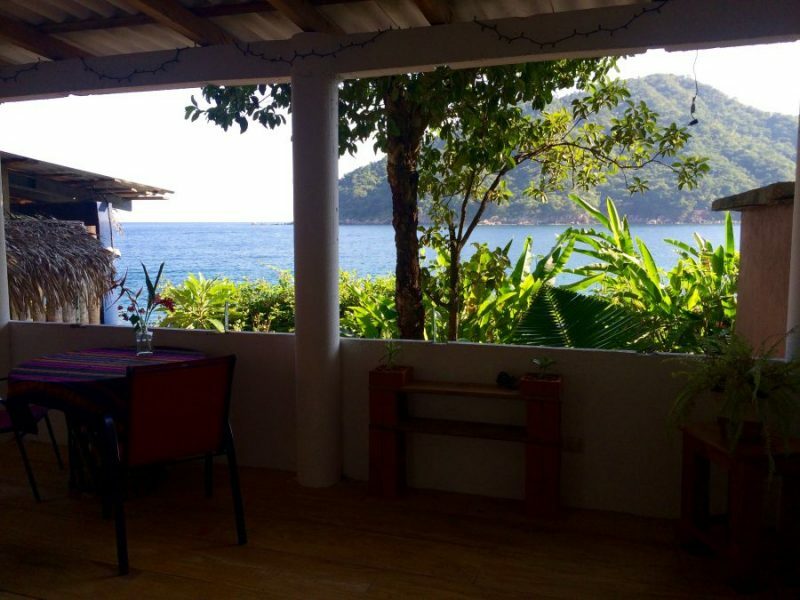 Newly renovated Casa Hibiscus has one queen size and one single bed. 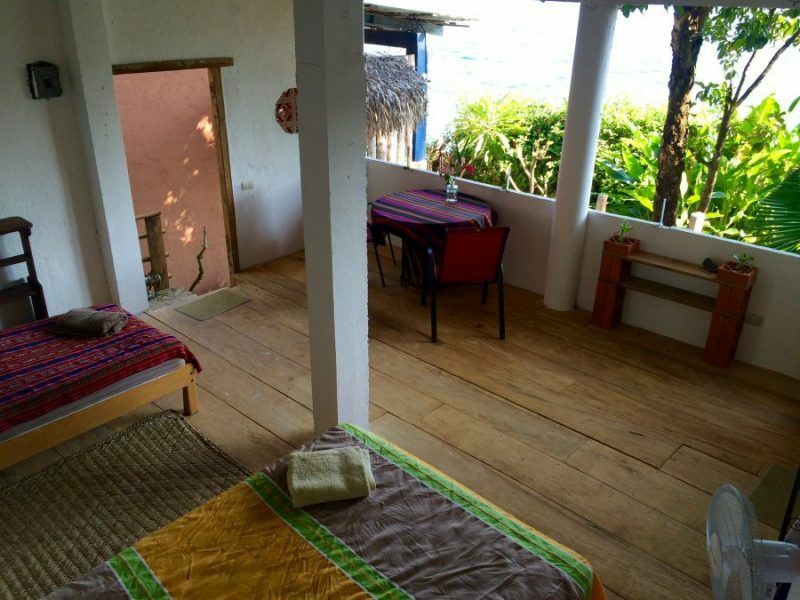 Casa Hibiscus has been completely rebuilt this summer and is a little bit different that our palapa style houses. 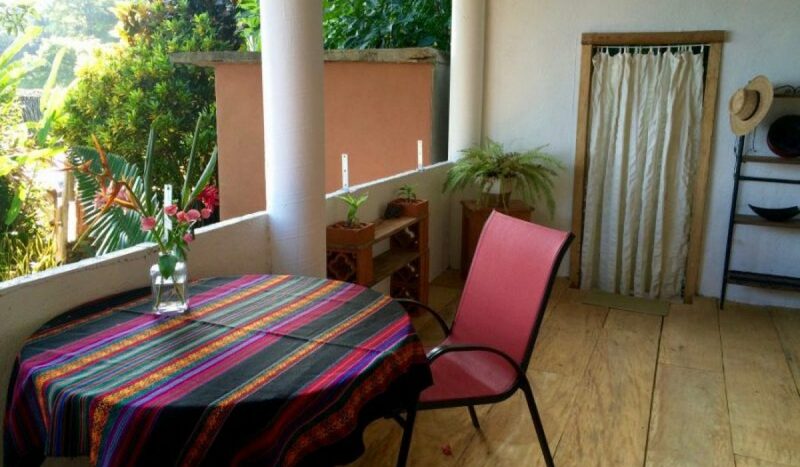 It has one double bed and one single bed and can accommodate up to 3 people. 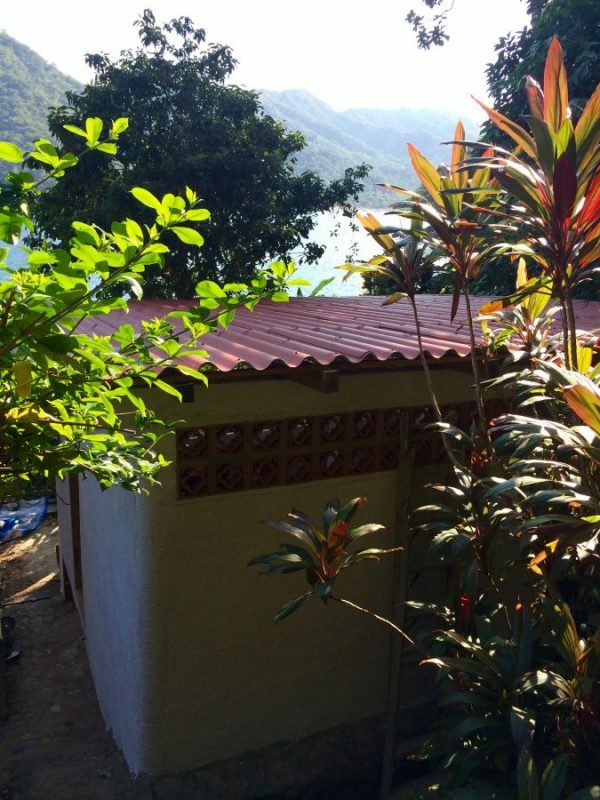 It is our only casa without a palapa roof. Instead, It has an typical orange tile roof that is often use in mexico. 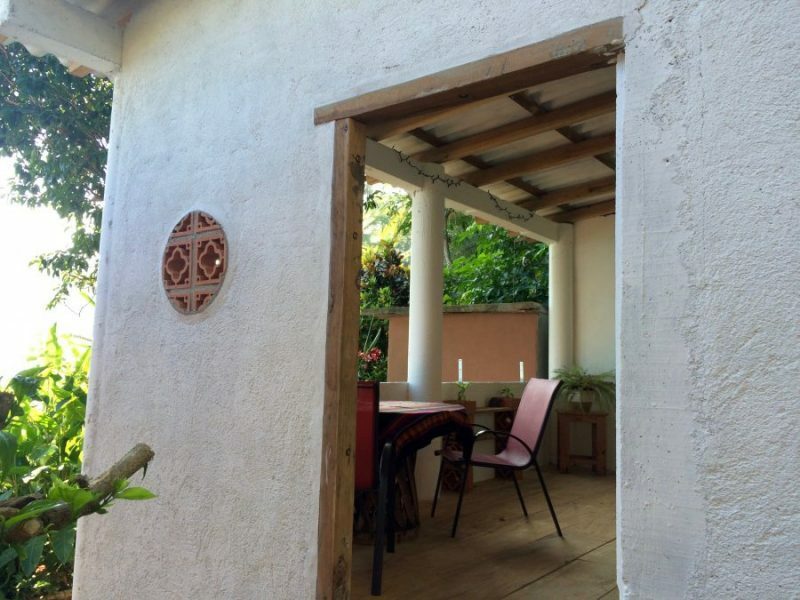 It also has ciment walls, but not completely closed to keep our open air concept and of course the great view. 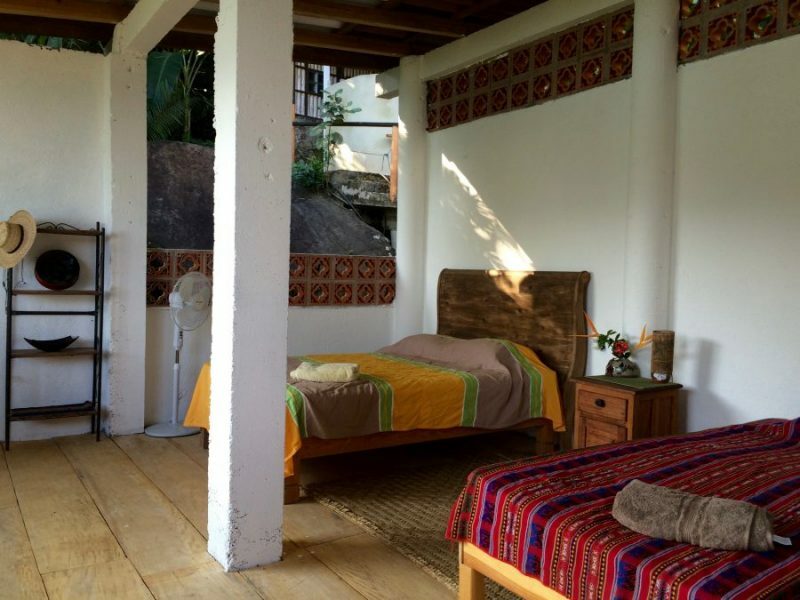 It has its own complete private bathroom with shower, hot water and toilet, inside the casa.